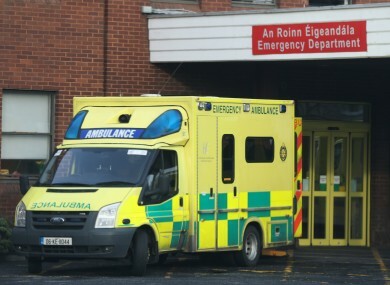 THE HSE HAS said that there are currently 128 doctors working as consultants in the health service, despite not meeting the necessary qualification requirements to be a consultant. The figure emerged as a result of a parliamentary question from Sinn Féin health spokesperson Louise O’Reilly, who shared the details on RTÉ’s This Week programme earlier today. O’Reilly had asked the Minister for Health Simon Harris to provide details on the “number of non-specialist doctors not on the medical council’s specialist register appointed to consultant positions, temporary or otherwise”. In response, the HSE outlined regulations which aim to ensure that only qualified persons occupy the role of a consultant. They said: “The purpose of regulation is to ensure that persons employed as Consultants in the public health service are appropriately qualified and competent to provide services as Consultants. Breaches by an employer of the HSE’s regulatory requirements have significant implications for the organised and safe delivery of Consultant services. In March 2008, the HSE amended the qualifications criteria to require membership of the specialist division of the Register of Medical Practitioners. Prior to this, 58 doctors were appointed to the position of consultant without this membership. Since then, a further 70 were appointed to the role of consultant, despite not being on this register. The HSE noted a report it published earlier this year, where concerns were raised on the “significant risk issues arising from poor compliance” with this requirement. The committee recommends that measures are adopted to cease the poor employment practice which gives rise to contracts of indefinite duration and risk to the public arising from provision of services by persons who are not appropriately qualified. The HSE adds that it is taking action to address these issues, as recommended in the report. O’Reilly said that the present situation was unfair on patients and their families, adding “it is also extremely unfair on those doctors and consultants who do a fantastic job that they would be put in such a difficult and precarious situation”. “The numbers made for extremely worrying reading,” she said. Email “'Risk to the public': 128 doctors working as consultants not on the required specialist register”. Feedback on “'Risk to the public': 128 doctors working as consultants not on the required specialist register”.